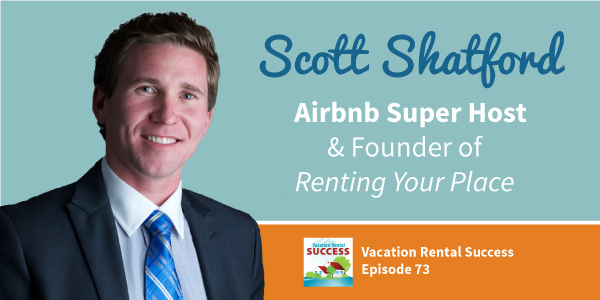 Creating a successful Airbnb listing is both art and science. In the following section you’ll learn how to create a persuasive Airbnb listing that stands out from the crowd. A well crafted Airbnb listing is guaranteed to turn more browsers into buyers. Let’s get started creating your killer Airbnb listing. The goal is to create a headline that reads like a once-in-a-life-time experience, an unbelievable deal, a hidden gem, or a sensational news story. With increasing competition for the same eyeballs you need to think creatively and stand out from the crowd. Think about your ideal audience – the people you would most like to host in your property. What features do your ideal audience look for in their dream vacation home? What is special about your listing? Is it unusually spacious or in a convenient location. Use this information to create an enticing headline. Here are some examples of headlines that capture attention: “Ski to the Jacuzzi!”, “Mingle with the Stars”, “Basking in the Branches” or “Charming Bungalow in Paradise”. If your place doesn’t offer anything that differentiates you from the competition, try something comical or even quirky. Keep in mind that your click-through rate is the priority. What clever one-liner would make people want to click on your listing? The best Airbnb descriptions are punchy and precise. People read your description after the photos of your place have captured their attention. Start by communicating the basic amenities your unit offers: Beds, baths, square footage. Then use carefully crafted bullet points to highlight your property’s top selling points. What makes your place stand out? What’s great about your location and amenities? Research your competition and come up with a list of your unit’s five best selling points. I’m a fan of Matt Landau. Here’s his write up on copywriter brevity. He recommends that you be brief in your descriptions, learn to love periods, and use one sentence paragraphs. There are a couple things I’m doing here. First, I’m listing all the amenities with their brand names. This targets the high-end consumer I want to attract. Then, I relate the amenities to an experience. Who cares if you have pots and pans? It’s what they can do with pots and pans that differentiates your property from a traditional hotel experience. If your place is located in a competitive area, go the extra mile to separate yourself from the pack. Think of something unique that you can highlight in your listing that will enhance your guest’s experience. 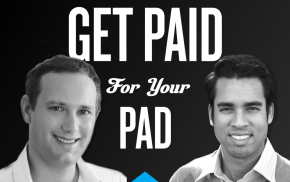 Perhaps you offer beach cruisers, a free iPhone, or golf clubs. These added perks are relatively cheap and will help you attract more inquiries. This last one may open you up to haggling. But getting the conversation started helps you confirm more reservations per listing view. This is especially important if you have a new Airbnb listing. Lastly, remember that Airbnb is a community marketplace. As well as promoting your place, you need to sell yourself as a reliable host. Many people use Airbnb to make personal connections in their destination city. This is especially true if you’re renting out a shared space. Your profile photo should show personality while still being professional. Complete your profile description so that your target audience identify with you, trust you, and want to get to know you. Here’s what my profile looks like. Notice: Nice attire & big smile. In my description I’m relating to my future guest as a fellow traveler, and a true local. 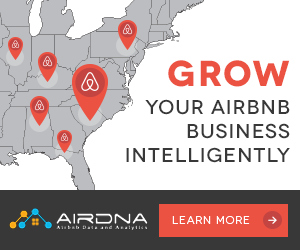 If you’d like more Airbnb tips, check out the AirDnA reports for your area to see how you can further optimize your listing.